The San Francisco area is known as a highly walkable region. But, unfortunately, this can contribute to devastating accidents and injuries for pedestrians. 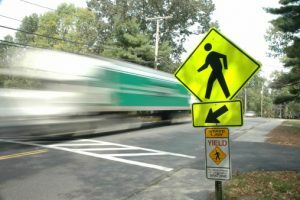 Pedestrians who do not have the additional safety afforded by a seatbelt or the exterior of a car are much more likely to sustain severe injuries. Pedestrian injury rates are higher in San Francisco age groups than across national public health objectives. The elderly, non-vehicle owners and children are much more likely to sustain traffic injuries due to these hazards. This is because they have physical and cognitive limits, experience a higher number of walking trips and because the elderly have higher rates of injury complications. A per walking trip basis analysis revealed that pedestrian collision rates are 30% higher in San Francisco than across the United States, which means that walking to run your errands and to get to work carries four times the risk of fatalities compared to driving for those in the San Francisco area. Pedestrian accident injuries are all too common and preventable, but cycling is actually the most hazardous mode of travel for those not using a traditional vehicle in San Francisco. If you’ve already been hurt in a catastrophic pedestrian accident, schedule a consultation with an experienced San Francisco injury lawyer immediately.